Fair question. A lot of the folks heading out on the road are several decades short of retirement. Like us. That was one of the pieces of our puzzle that made it pretty easy to decide to head out to ‘live nowhere’ — we have income that’s location-independent. As long as we have internet, we can support ourselves. I’ve been thinking about that a lot lately. It’s been nearly a decade since I started blogging, a hobby that morphed over time to various streams of income. The world of content development has changed a lot from the days of Blogger. Four years ago I was laid off in a round of corporate shuffling that boosted me somewhat unwillingly into the world of self-employment . For everyone who wonders “How do I make money on the road.” Here’s my path. Worked a series of incrementally better jobs. Mostly in finance. In each job I’d inevitably end up getting stuck with the ‘super-computery’ tasks (this was back in the pre-Windows days of black and green screens, folks). I also always had an affinity for writing and design, complemented by a fair amount of OCD attention to layout and decent innate spatial ability. Slowly worked my way from entry-level customer service to admin jobs. I was enjoying my 20’s, living in Minneapolis and at odds with myself. I didn’t love working corporate gigs, but I needed to pay rent, right? Sometime in 2003 I took a job working for a privately-held family company. The patriarch of the family, Mr. Pohlad, was in his late 80’s or early 90’s. He’d built up his business in finance, beverage, trucking and professional baseball from nothing. His 50-something sons were taking the reigns of the company and most of my friends were settling into their more professional, grown-up lives. I figured I should do that too. I started out in the Operations part of the company — where all the purchasing, IT and what little employee communications were handled. I worked with a bunch of bankers and slowly took on more of the employee-focused communications as well as marketing for some of the subsidiaries. As usual, I sort of did what I did best and at this particular job, the new chief human resources officer saw the value in that. She created a communications position and hired me to work for her. I started out not knowing how to use much more than Power Point and listen quietly at the few meetings I had to attend. By the time I left Marquette I had gotten fairly proficient with Photoshop, written thousands and thousands of words of copy, learned to play devil’s advocate in meetings to work through the pro’s and con’s, and had a collection of rather ill-fitting suits. For anyone my age, you know the fight has been a long one finding anything decent to wear in the over size 18 range. Plus… I was still hiding in those years. It was the time of What Not to Wear, being ‘locked and loaded’, dressing to hide flaws, and maximize the assets. I didn’t really think I had much in the way of assets, body-image-wise. I had also obtained a fiancee, as polar opposite, right-leaning as possible. We bought a house and I was down with believing in opposites attracting and assumed I’d probably have a baby or two and settle into a slightly more professional, centered version of myself. I still hated working corporate gigs, especially office politics that made me see red and a lack of freedom to focus on projects and areas that got me really excited. I spent a lot of time writing management memos and employee newsletters that brought the word ‘bloviating’ into regular rotation in my life. Turns out, corporate gigs didn’t like me very much either. The woman who had originally hired me moved on to be chief of human resources for a local health system and her replacement wasn’t quite as impressed with my new-found lively debating skills during staff meetings. I no longer fit in and eventually, there was a reorganization and nice severance package to prove it. I was officially a soon-to-be-married woman of leisure. Of course, I started a blog. 2008-2011… OK. I’m a Blogger. How do I Monetize This? My fiance of the time had a good income and we’d been careful when buying our house, not wanting to over-commit ourselves in case the inevitable happened. Between planning our wedding and upgrading our kitchen, blogs became my best friend. I’d always liked writing, even though I’d gotten burned out a bit doing corporate copy at my last job. I set up my first blog, called the Red Headed Meow Meow (I honestly can’t remember where that came from) on Blogger and started in on what I wanted to be pithy, essay style observations on life. Then I borrowed a sewing machine from my best friend to finish up some home dec sewing and after designing and stitching together a fitted slipcover for a wingback chair sans pattern (or even an understanding of what a facing was), I figured that if I could sew a dress for my chair I could sew a dress for myself. I headed to Joann’s and a new obsession was born. With nothing but time on my hands, I sewed, took really bad photos (OMG, the point and shoots from 10 years ago…) and blogged about it. 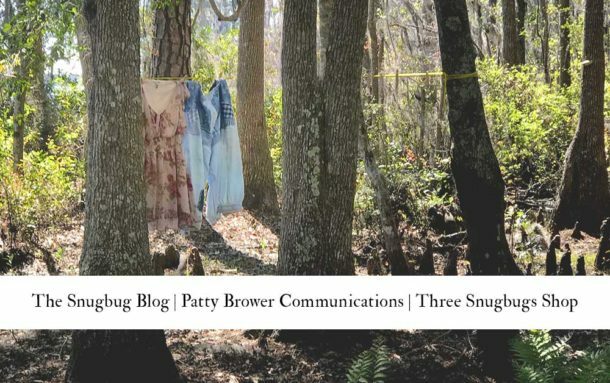 At some point the Red Headed Meow Meow became The Snugbug Blog (again, I do not remember where the name came from) and along the way I figured out how to host my website and make it better with a bit of HTML. I learned how to take a good photo and crop and edit the bad ones into usability. 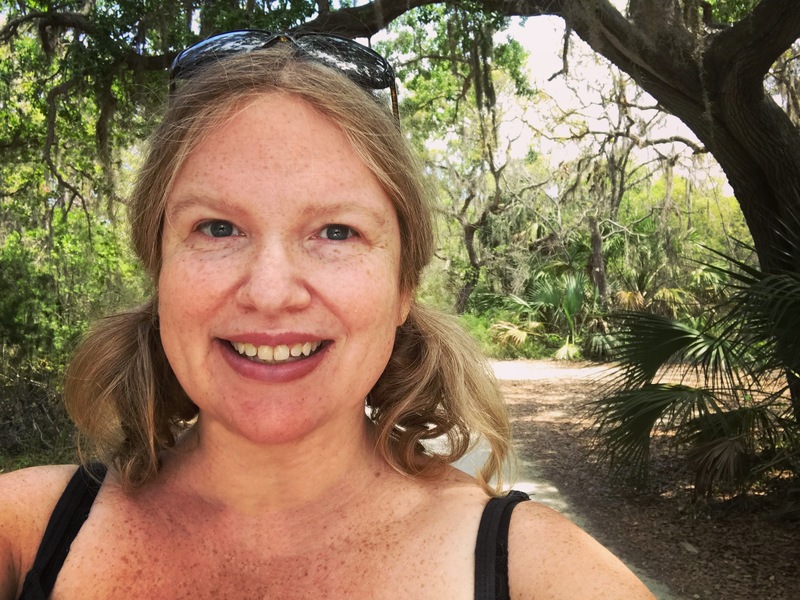 I started connecting with other bloggers and readers and my world expanded. It was around this time I really started thinking about alternatives to corporate gigs. I kept looking for jobs, although our income was ok, so it wasn’t a pressing emergency. I could consider options other than subsistence. I was loving the blog and interviewing creative business owners — at that time, mostly the new batch of pattern designers — Sarai from Colette, Leisl from Oliver and S. I called the series ‘dream jobs’ and I thought a lot about how to turn my blog into a full-time job. Back then, there were a lot more people making money online from traffic and selling adspace or sponsors, something I never really loved. I liked writing, sharing what I knew via tutorials and an extra element of blogging that’s hard to articulate. I took and posted a lot of photos of myself. I weighed more than I wanted to and didn’t love seeing pictures of me, but I got over it. In the process I developed a ton of confidence in what I was wearing, how I looked and what worked for me. While I’d never been overly concerned about what people thought about me, blogging and sharing myself cemented that and every time I got an email or comment from someone who was inspired to see another over-size-20 posting pictures of herself, I felt like I was doing something good in the world. Holding space for other girls while they worked up their confidence. Eventually, I got an offer for a job that sounded interesting. I posted my last few posts about sewing a career wardrobe with a bit of my funky style, then I headed back to the world of 8 to 5. I don’t even remember what I was hired to do at Fiberweb. I think it was a marketing assistant or something like that. I worked in a very small sales office of a company that produced and sold materials that were used in landscape and construction. It’s funny — I went from blogging about sewing and fabric to working for a textile company. But our textiles were made from polypropylene and were used to keep weeds from growing. I organized trade shows, made brochures and kept myself busy. The office I worked in was nearly insufferable with a collection of personalities that made me die a little each day. But I liked my boss and I liked what I did. And just about six months into my new gig my husband’s job was moved from Minneapolis to Dallas. We were given the option to relocate with a nice financial incentive to help us get moved and settled. In May of 2012 we sold our little ranch house and headed down to Dallas. This move was key in my transition from working in an office job to working location-independent. My core team that I worked with was already partially remote as our sales guys lived in different parts of the US and our main marketing team was based in London. I was used to group Skype calls and handling a lot of work by phone. A lot of what I was already doing was arranging for shows that were across the country. There was very little in my day to day work that had to actually be done in the office. I answered the phone line, but other than that…. I thought I might be able to keep my job and move to Texas. And after a few weeks of thinking about, my boss agreed with me. We already had a lot of policies in place to set up home offices for the sales guys, so I got a $500 allowance to set up my office and my monthly cell phone and internet were covered by the company. On the trip down to Texas I got a call from my boss. He’d decided to give me a raise. With the move I left behind the last bit of admin-like tasks and was taking on more responsibility. It was time for me to learn to work from home. I never had the struggles a lot of folks have when moving to a home office. Partially due to a lot of video calls on my schedule, I got up every morning and got dressed in the same clothes I’d have worn to the office. My wardrobe had slowly evolved and I was still wearing suits, but the cut and colors were funkier. I was embracing the freedom that the marketing department gets in dressing a bit more artistic. Since I was working with a team, it was easier to stay on schedule. Plus I really enjoyed what I was doing, so it wasn’t hard to stay motivated. There were a few of the sales guys on the team who were unhappy that I’d scored a work-from-home job and I was determined to prove to them that I would be super-productive even if I was on my own. Luckily, we were going through a major rebranding due to a corporate buyout and we had about 150 individual pieces of collateral that had to be updated for look, feel and language. I made sure to get a couple done each week. Anyone who has worked in marketing knows that our actual work is less graphic design than the sales team thinks it is, but it was an easy way to show that I was productive. Over the next few years, I took on bigger projects and traveled a lot. Eventually, my husband and I decided to part ways and since I’d never warmed up to Dallas I headed up to Nashville, which was where our US headquarters were. I’d grown to love Nashville over the few years I’d been traveling there to work and my new boss offered me a moving allowance to entice me to head to Nashville instead of back to Minneapolis or anywhere else for that matter. 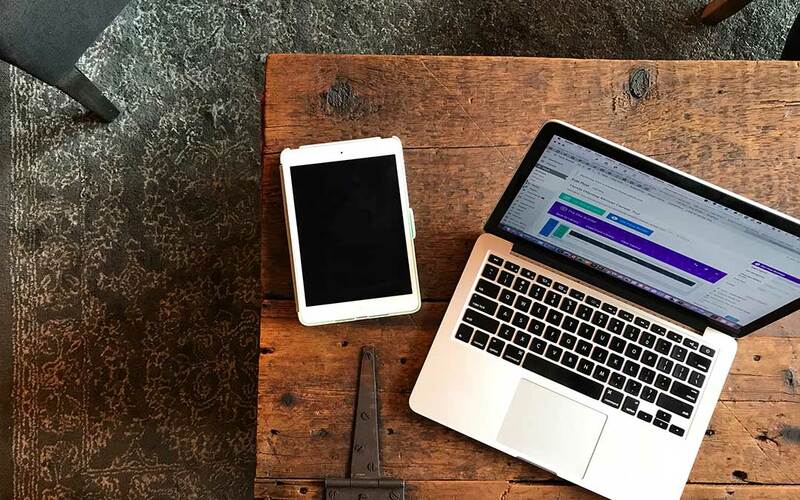 I’d enjoyed my few years of working from home and didn’t relish the idea of heading back to work in an office for the 8 to 5 grind. The only consolation was that I’d finally scored an office with a door which would make it more tolerable. Peppermint the basset hound and I packed up the U-Haul and drove up to our new house which I had rented in East Nashville. I’d never even seen the inside, just peeked through the windows, but it had a lot of character and a little red shed in the backyard. We were set. I arrived in Nashville the day after Halloween in 2014. We settled into our new house and our new life. I fell even more in love with Nashville and thanks to another reorganization racked up a lot of miles flying to our offices in the UK. I loved London (Essex, not quite as much) and liked working with an actual marketing team rather than being the marketing girl working with the sales team. My new boss was fun and energetic and it was awesome to work with designers, multi-media folks and a whole team focused on the same goals. It wasn’t so bad being back in an office. We celebrated Christmas and in the New Year I was settling into a new life, new guy, new everything. Meanwhile, a friend from high school had left her fast-track gig at Proctor and Gamble a few years earlier and started a coaching business. I always liked reading her emails, which were focused more on people building their own business than on corporate types like me. But she seemed really happy with a new girlfriend and getting ready to host her first Live Event. If any of you are familiar with the transformational coaching, Tony Robbins-style business, you know what I’m talking about. The three-day event with lots of talking, some tears and a pitch for a high-end coaching program on day three. I’d never really gotten into that part of what she was doing — it felt a little groupthink to me, but I wanted to support her. Her event was in February or March in Las Vegas and she and her girlfriend were doing a hard sell to get folks to go. I really wanted to support her, but… I had work and didn’t want to take the time, having just gotten settled in Nashville. Our company had been bought again and the marketing department was reorganized. Again. There was a lot to do. The day after Valentines Day I headed into work and my boss asked me to stop by the conference room. I remember the day because my new boyfriend (now, husband-Jeff) had executed quite the stealth initiative to have a bajillion roses delivered to me at work. I stopped by the conference room, not thinking much of it until I noticed the guy with the security guard vibe in the corner. There were around 50 of us laid off that day, not needed in the new organization. I was escorted to my car by the security guy after my now ex-boss went back to my office to get my purse for me. They said they’d box up my things and have them ready in a few weeks. I got in my car and headed home. Jeff had just arrived in Nashville. He worked for the same company and was in town for a sales meeting. He was waiting for me at my house, ready to support me. We had about two weeks of that until he got his walking orders as well. To say it was a difficult layoff is a bit of an understatement. It felt like a breakup, except there was to be no getting back together. I loved that job and had a lot of ownership over it. For months I worried about everything left undone. Part of me knew that the world will always get along fine without me… but I didn’t really want it to in this case. When Jeff was laid off too, we were at complete loose ends. I was 40 years old and had barely settled into a town I’d moved to for a job that wasn’t mine anymore. Likewise, Jeff had left a business that he’d built from the ground up and worked in for 15 years before taking this new job with wider-responsibilities. In 30 years, he’d had two jobs and was unemployed for the first time since he’d started working in high school. With a ton of miles banked up, decent severance package in the bank and nothing but time on our hands, we booked our flights to Las Vegas. Darla’s event was the next weekend and she’d offered me free tickets. Why not check out what it meant to be an aligned entrepreneur? Come back next week for part two of my self-employed adventure tale!